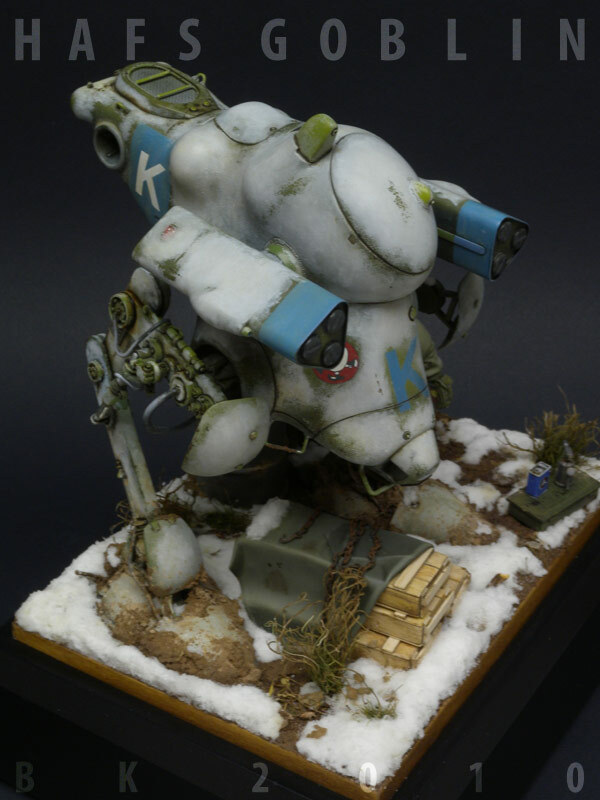 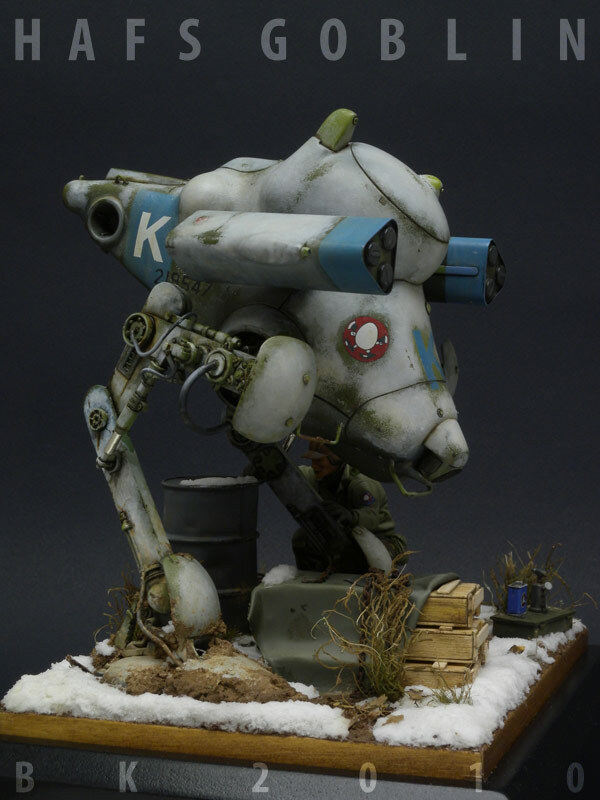 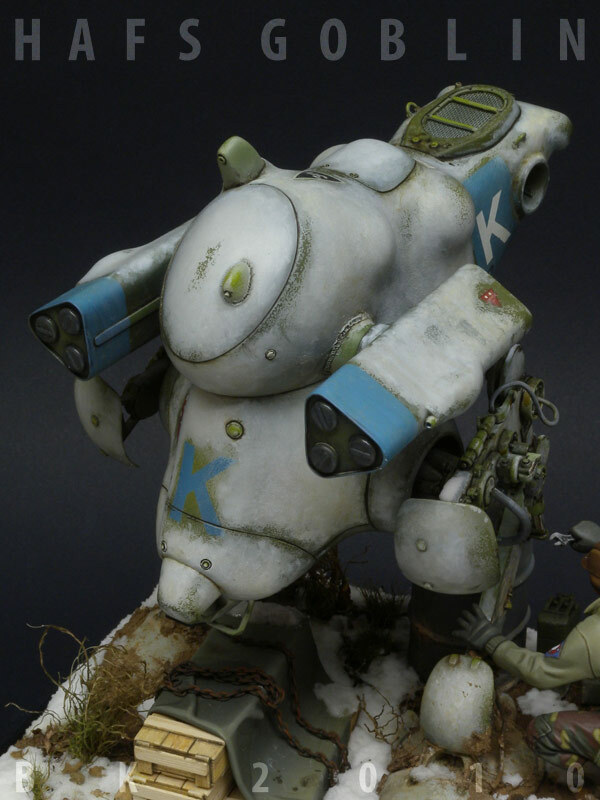 The HAFS Goblin is a Mercenary Heavy Armored Fighting Suit developed on the HAFS Jerry chassis. 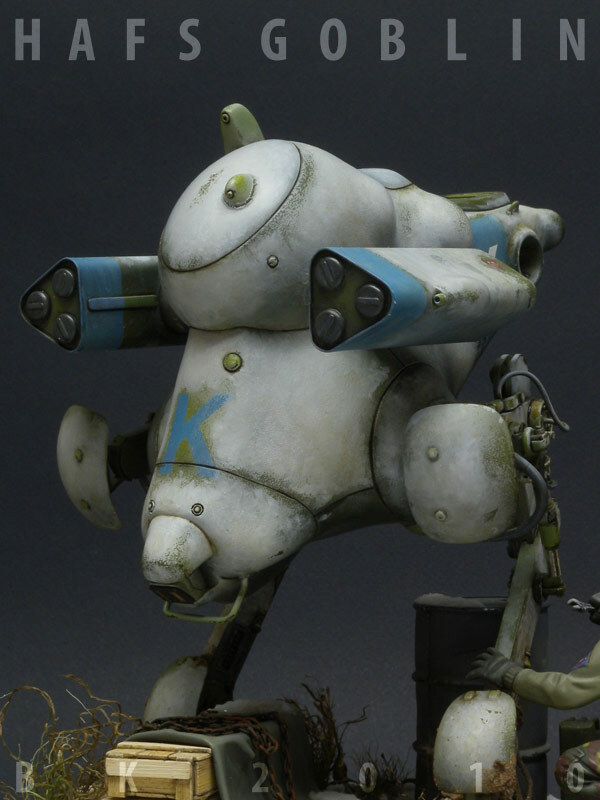 A new torso/hull was developed which incorporated the armor protection and indirect sighting advantages of the SAFS. 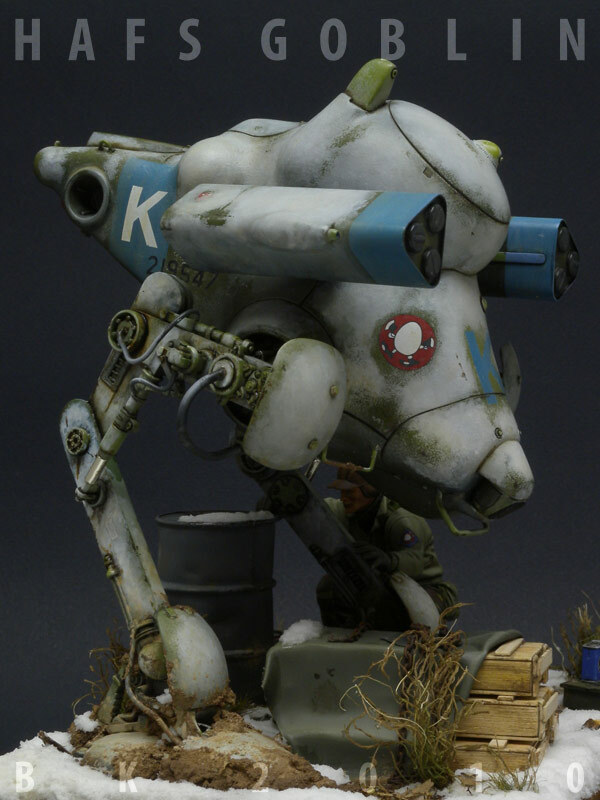 2x three tube missile launchers in armored housings are located on either side of the hull. 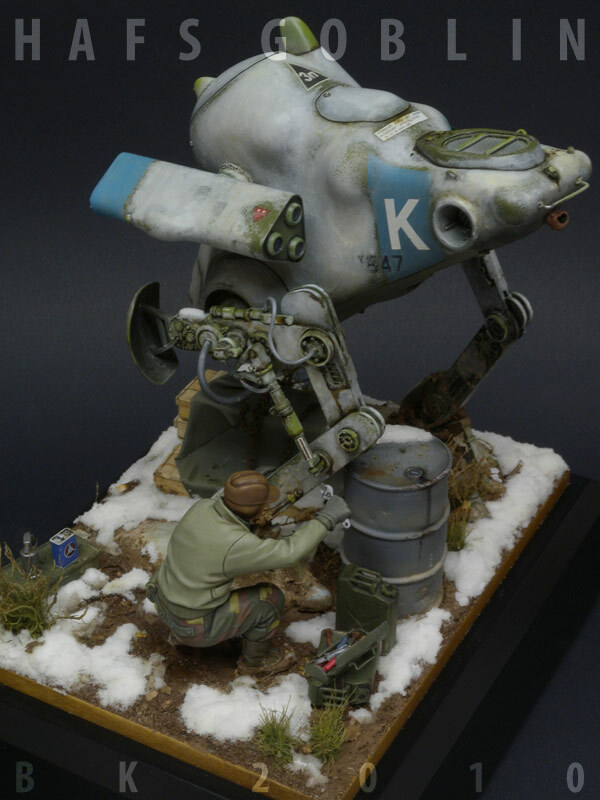 There is no additional armament. 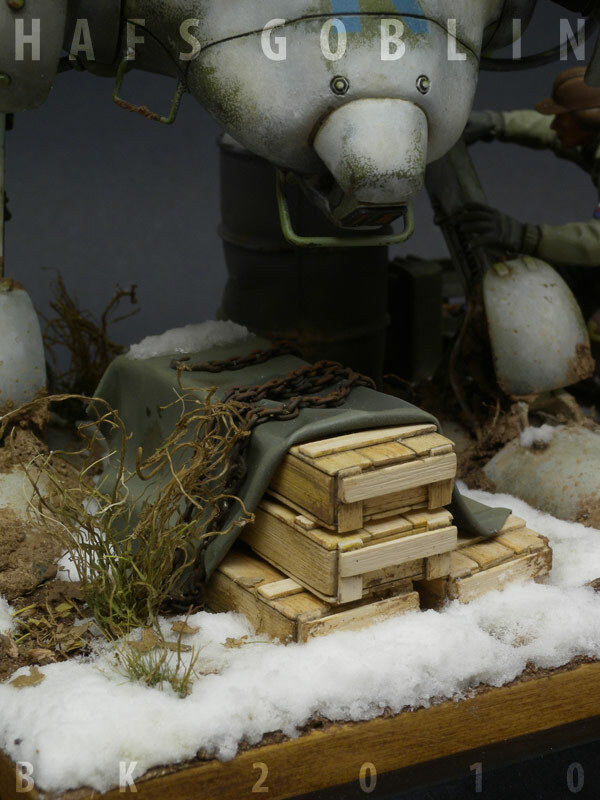 This scene depicts a Goblin in the Rocky Mountain region during the Mercenary counterattacks against SDR bases on the North American continent. 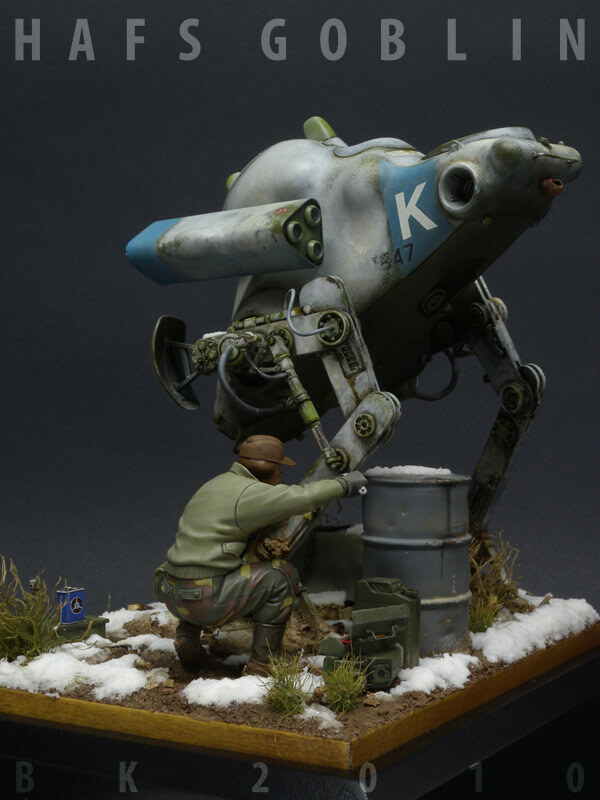 The first fields test for the Goblin occur on December 31, 2885. 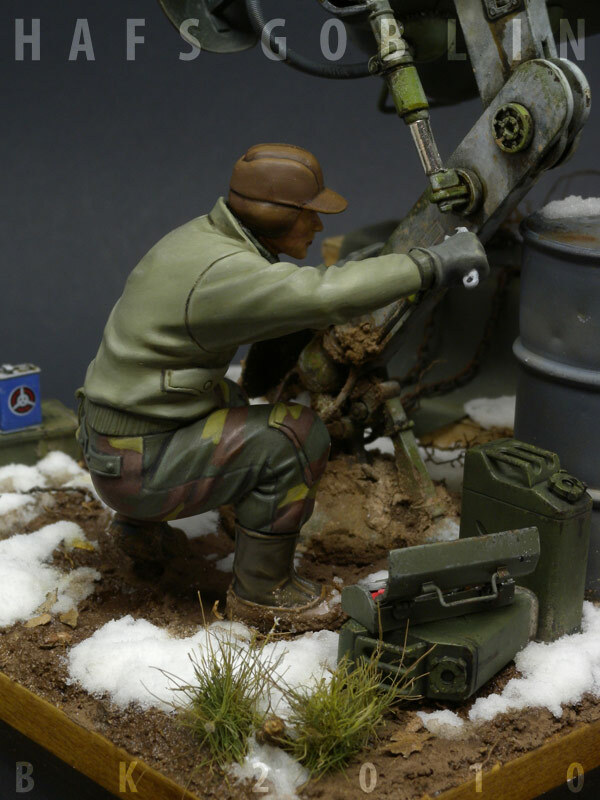 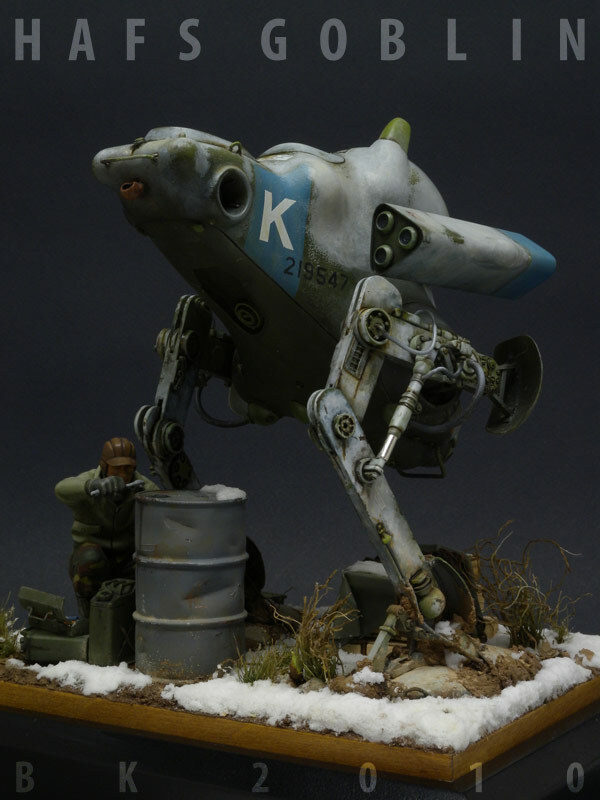 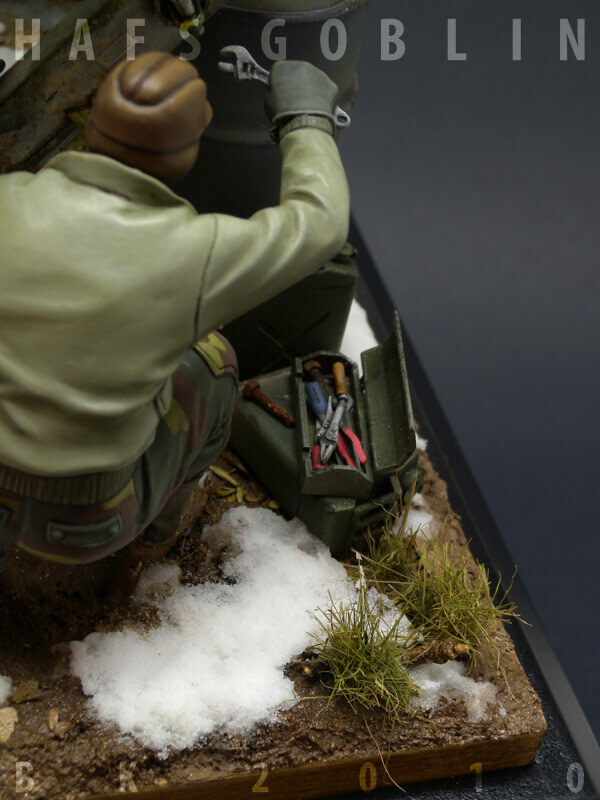 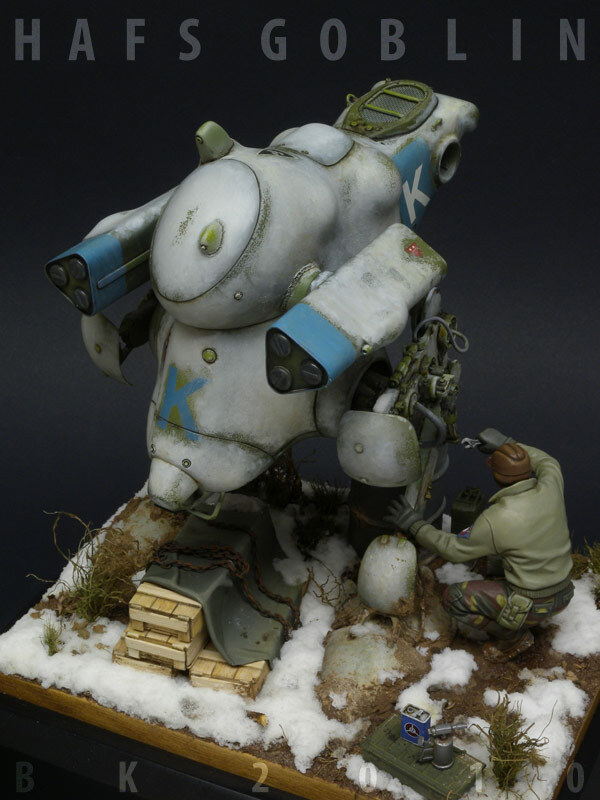 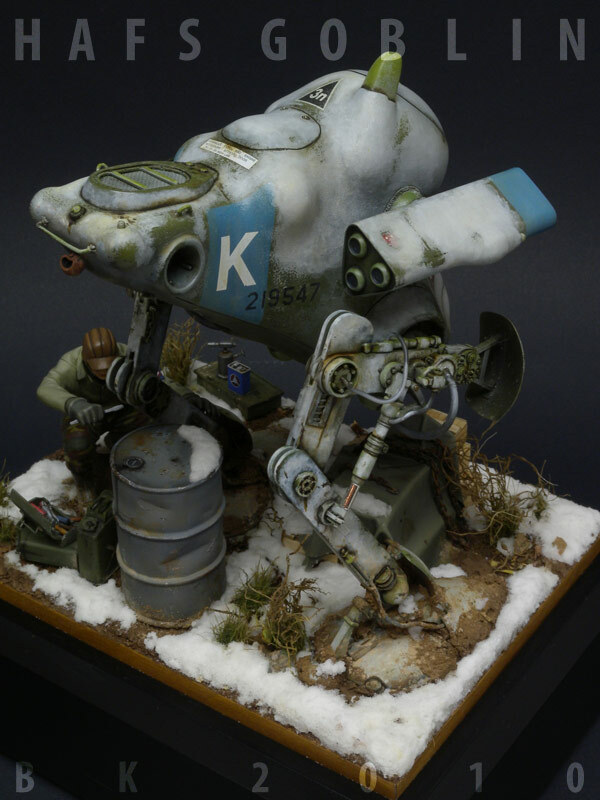 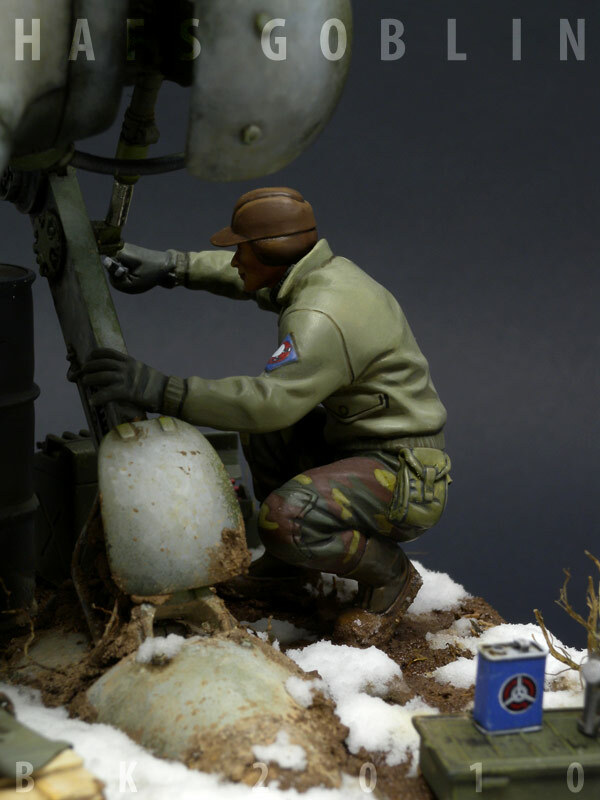 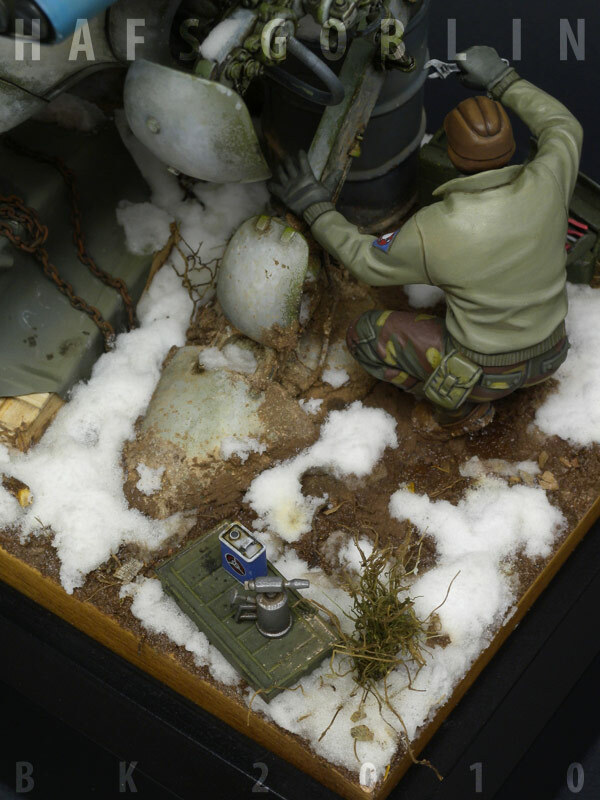 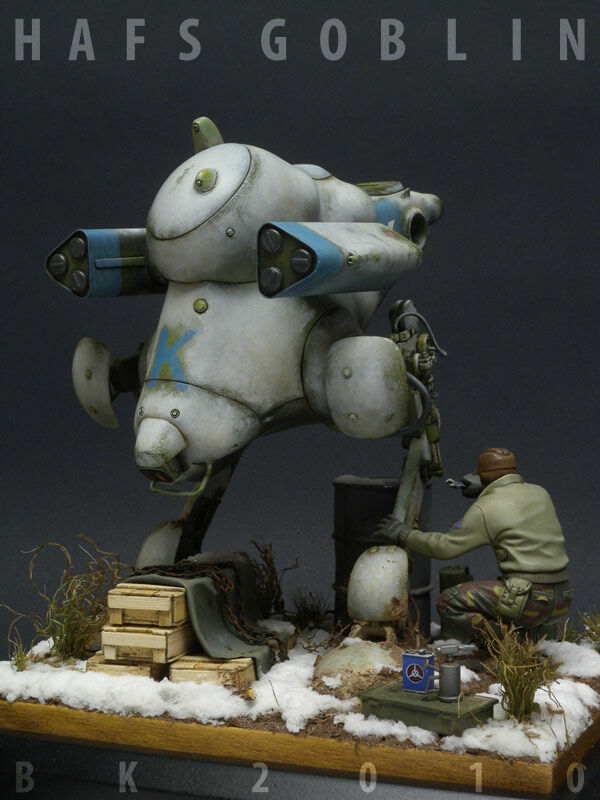 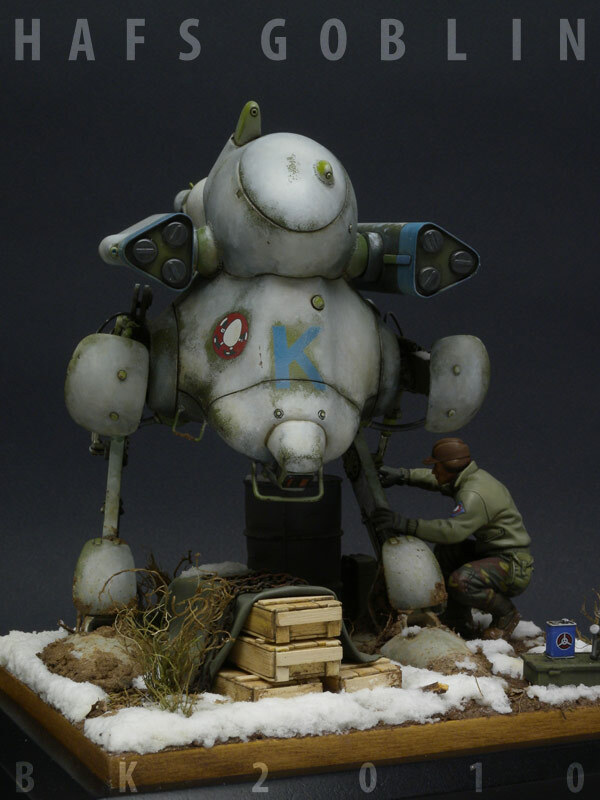 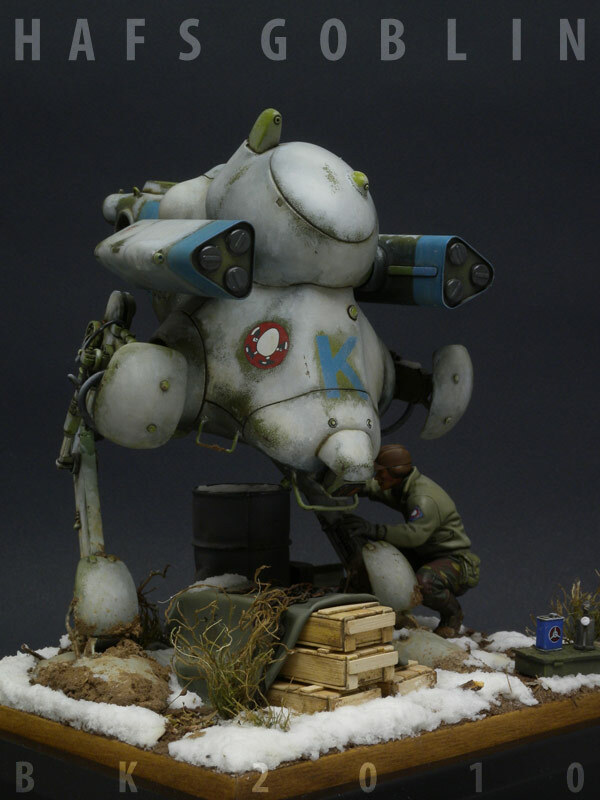 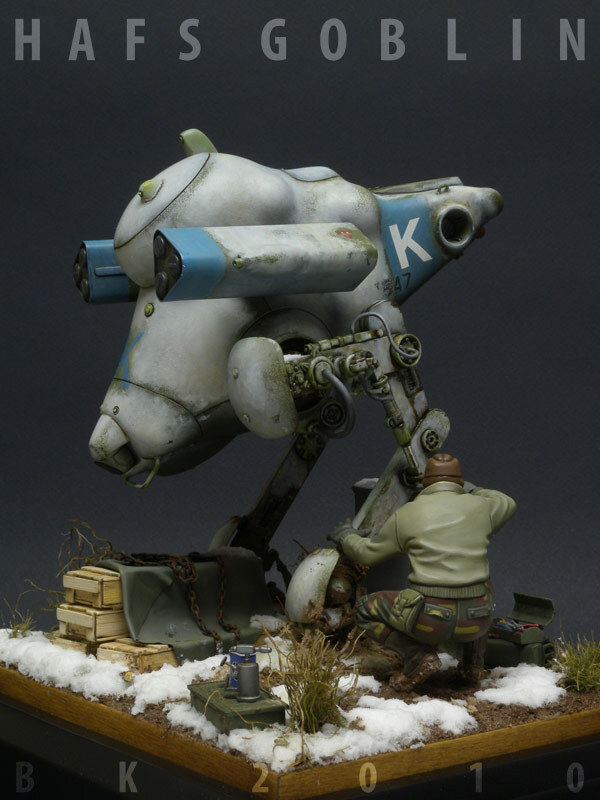 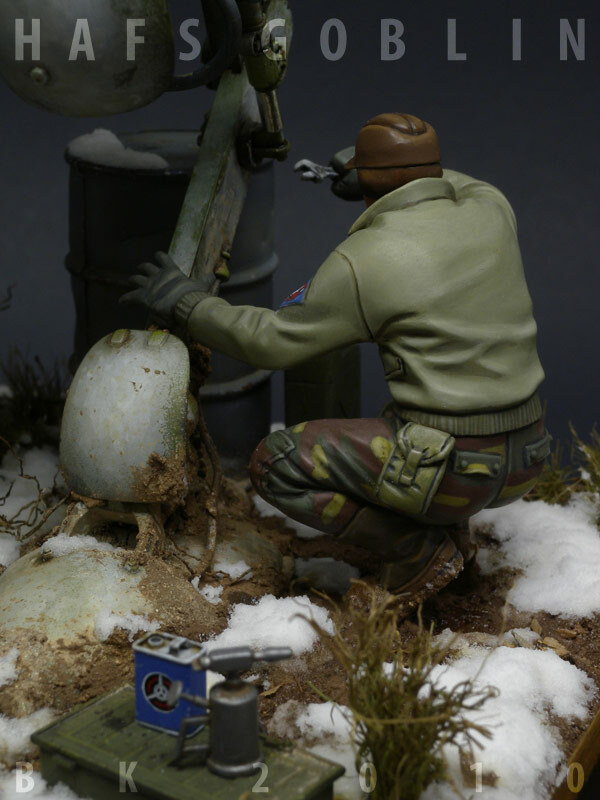 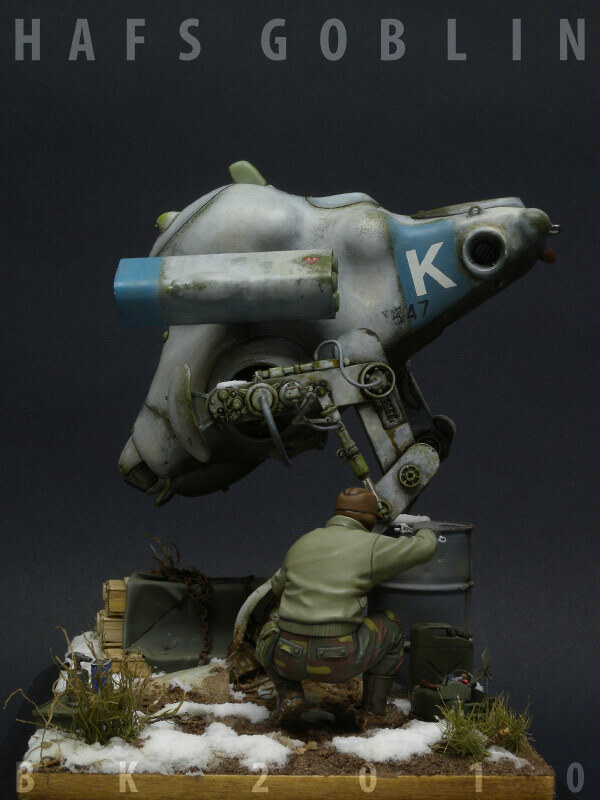 So this diorama depicts a mechanic making adjustments to the hydraulics in a field shop shortly after the initial production makes its combat debut .